Attention US Abarth fans: The Fiat 500 Abarth will be competing in the Pirelli World Challenge Championships Touring Car Class next year. 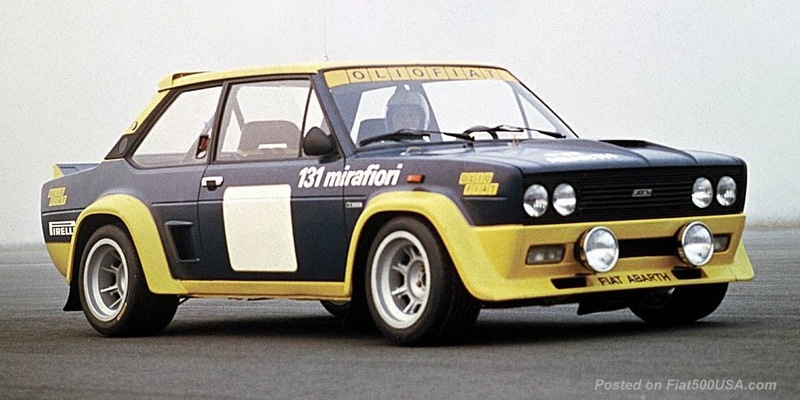 Carrying the Abarth flag will Rimicci Corse. The California based racing team has put together two Fiat 500 Abarths to compete in the racing series that begins next March (Touring Car race dates to be determined). The no. 57 Rimicci Corse Fiat 500 Abarth will be driven by Anthony Rimicci, and is said to be the first Fiat 500 Abarth to race in North America. 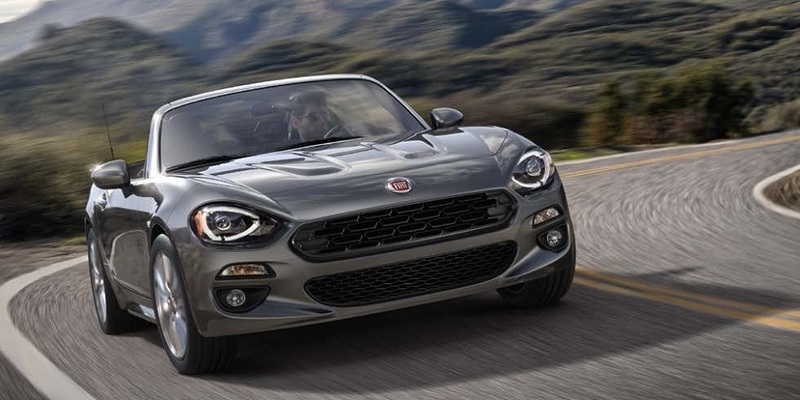 The driver of the second 500 Abarth has yet to be named. The Fiat 500 Abarth will make its racing debut at the National Auto Sport Association (NASA) 25 Hours of Thunderhill endurance race this December. This is listed as the longest endurance race in the world and will give team Rimicci Corse the perfect venue to test the Abarth's racing setup. Our friends at 500 Madness have been selected by Rimicci Corse to supply performance parts for car. 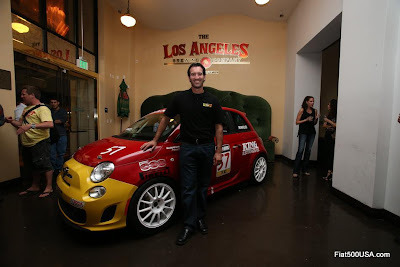 The Fiat 500 was a very strong competitor in the 2012 Pirelli World Challenge Championships Touring Car Class B, with Jonathan Start winning the drivers championship and the 500 coming in second in the manufacturers' standings. 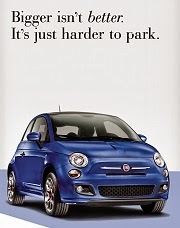 The Fiat 500 Abarth will be competing in the Touring Car Class with the Honda Civic SI, the Mazda Speed 3 and VW GTI. We wish Rimicci Corse the best of luck for a great season. We will definitely keep an eye on them! October 11, 2012 (Northridge, Calif.) -- Rimicci Corse, based in Northridge, Calif., has built a Fiat 500 Abarth to compete in the Pirelli World Challenge Championships Touring Car Class in the 2013 season. The no. 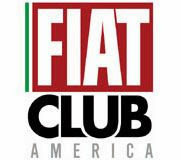 57 Rimicci Corse Fiat 500 Abarth will be driven by Anthony Rimicci, and will be the first Fiat 500 Abarth to race in North America. 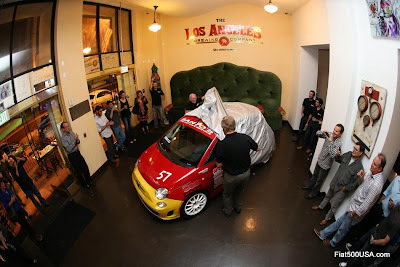 The car was shown for the first time to friends, family, and sponsors during the Rimicci Corse launch party at Los Angeles Brewing Company in Los Angeles, Calif. If you've heard of Rimicci, you're probably thinking of someone else. 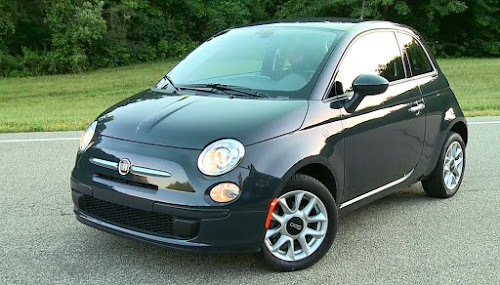 Rimicci and his father run Santo's Italian Car Service in Northridge, California. Known for its service and preparation of Alfa Romeos and Fiats, SICS has built and prepared several of the fastest vintage racing Alfa Romeos in the country. Of course, with no new Alfa Romeos in the country since 1995, you can only race an Alfa Romeo in a vintage series. 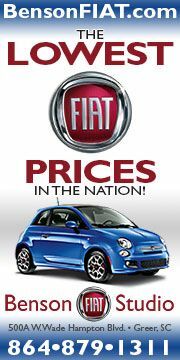 Naturally, SICS has worked on several Fiat products over its history - in fact, a family owned 1970 Fiat 500 appeared on SPEED Channel's 101 Cars You Must Drive, with Rimicci shouting in Italian at host Alonzo Bodden. 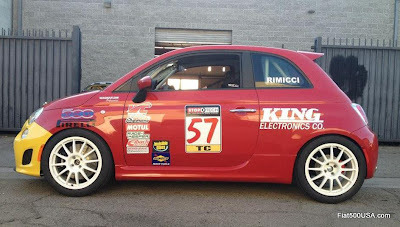 With the introduction of the Fiat 500 Abarth to America, Rimicci has partnered with SICS customer Deke Williams to build a pair of Abarths for the Pirelli World Challenge Championships. The driver of the second car, either a seasoned pro or someone with fistfuls of cash, will be named later and the team is probably already talking to them - so don't blow up their phones. While Rimicci's racing resume includes several seasons of competition in the Alfa Romeo Owners Club, Vintage Auto Racing Association, Historic Motor Sports Association and the Rolex Monterey Motorsports Reunion, this will be his first foray into professional competition. "I'm going pro racing in a Fiat - what could go wrong?" said Rimicci. "We've built a brand-new car, a new team, for a series we've never done before, on tracks I've never driven. While most people look at us like we are crazy, the response we've gotten from the car has been pretty incredible. All the ladies say 'it's so cute!' We know we have a big job ahead of us to be competitive in Touring Car but it's going to be really fun to give it a shot." As part of the development of the car, it will compete in this year's NASA 25 Hours of Thunderhill on December 8-9 at Thunderhill Raceway Park in Willows, Calif. Rimicci will partner with GRAND-AM Continental Tire Sports Car Challenge driver and 25 Hour veteran Johnny Kanavas (whose wife is Sicilian), brother and Alfa Romeo racer Fabrizio Rimicci, and longtime vintage racing friend Efrain Olivares (who, in a strange coincidence, is the author of this press release) in hopes that the Abarth somehow survives the longest endurance race in the world. "One great thing about being Italian is you have a huge family, which means, you have a lot of people you can ask for help," said Rimicci. "Also, it means we'll have an espresso machine in our trailer to keep the guys going through the night. The 25 Hour will be a big challenge but we also expect it to be a lot of fun. 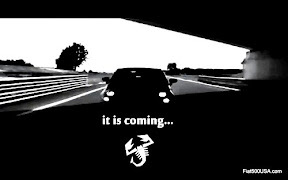 We can't think of a better scenario to test the Abarth under race conditions and really push its limits. There are a lot of parts that have been built specifically for the car and we really want to put them to the test to get ready for next season."